Welcome to my Bluebird Website. My hope is that you will have a successful bluebird nesting experience. 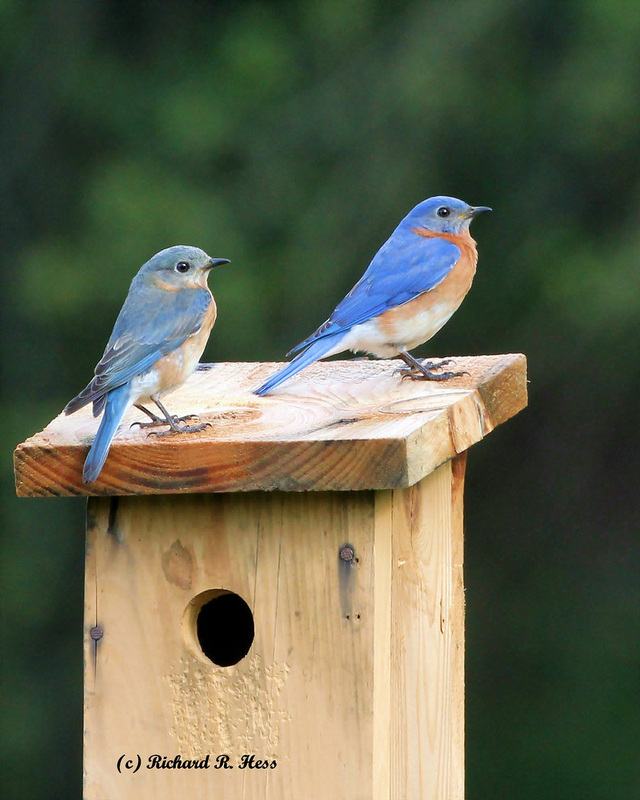 On this website you will find plenty of helpful facts and tips concerning bluebirds and their nest box. 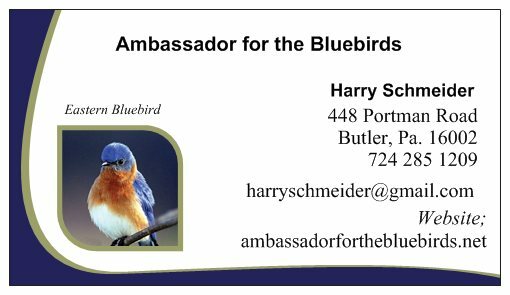 You will also find my blog (Lets Talk Bluebirds) to help us join together in this exciting adventure into the world of bluebirds. Please visit the site often, share your comments and experiences, and make sure to invite your friends! My Dream that one day I see as many Bluebirds that I see Robins and with your help my dream will become a reality. Special Thanks to Photographer Richard Hess for the many photos throughout my website. Right click on my card and save to your favorite place on your computer.